The U.S. Navy says envoys from 41 nations have gathered in Bahrain to begin drills in the Persian Gulf. In what may be a warning to Iran, the U.S. Navy said on Monday that envoys from 41 nations had gathered in Bahrain to begin anti-mine drills in the Persian Gulf. The U.S.-led exercises, which run through May 30, mark the second major show of maritime cooperation in the Gulf in less than a year. According to a statement published by the Navy, the drills will begin with onshore training and then move to the Gulf for maneuvers including mine-sweeping and search-and-seizure operations. The last such exercise was held nine months ago, when Israel and Iran were just at the brink of hostilities. The U.S. Navy stressed that the drills are not specifically tailored to counter Iranian threats, though Iran has threatened more than once to close the Strait of Hormuz, a strategic waterway leading to the Persian Gulf and that is used by 40 percent of vessels that carry the world's oil to various locations around the globe. Iran also has sought to expand its naval capabilities, including plans to launch new submarines. 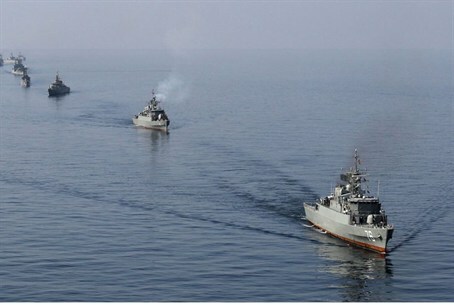 In December the Islamic Republic held naval maneuvers in the Gulf and the Strait of Hormuz.